Note: Fill in one box to get results in the other box by clicking "Calculate" button. Data should be separated by coma (,), space ( ), tab, or in separated lines. 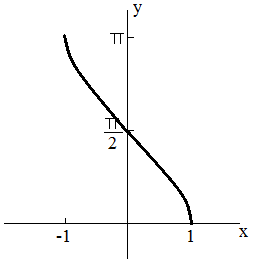 Arccose function is the inverse of cosine, arccose(x)=cos-1(x). The principle values for x is [-1,1].